The Art of Peace can be summed up like this: True victory is self-victory; let that day arrive quickly! Welcome! The Shudokan School of Aikido is a traditional , Japanese style martial arts school where we teach effective self defense, personal discipline and how to understand the interaction between people in all types of situations. Using pinning techniques (controls), joint locking techniques (compliance motivation) and throws (projections), Aikido involves interesting and challenging methods of dealing with aggression and using that same aggression to control the opponent. Our training is cooperative and we believe in safety and concern for our training partners as well as effectiveness. Aikido is a good method for stress relief, weight management, and exercise. In Aikido , you learn how to use your body by developing a greater sense of "body consciousness". This is why experts say that Aikido helps young people to be good at all sports. In order to be good at sports, a person needs to know instinctively, how to use the body efficiently. Martial arts also have that characteristic. Aikido is practiced by men, women and children around the world. Because Aikido does not require great strength, it is considered good for women, and children also learn Aikido in a safe and enjoyable way while learning real self defense against bullies and aggressive children. Aikido is good for all ages and everyone trains to the level of their physical condition and ability. Come and watch a class and see if Aikido is the martial art you have been looking for! Please accept our invitation to come and join us in the practice of this beautiful and amazing martial art. We hope that you will also come to experience the many benefits that it offers. Feel free to contact us if we can answer any questions or help you in any way. For more information, see the FAQ listed at the top of this page or call, 281-630-0361. Our new location is at Samurai Martial Arts, 17111 Kieth Harrow, Houston,Tx 77084. This is in the west Houston, Katy, and Cypress, Tx area. 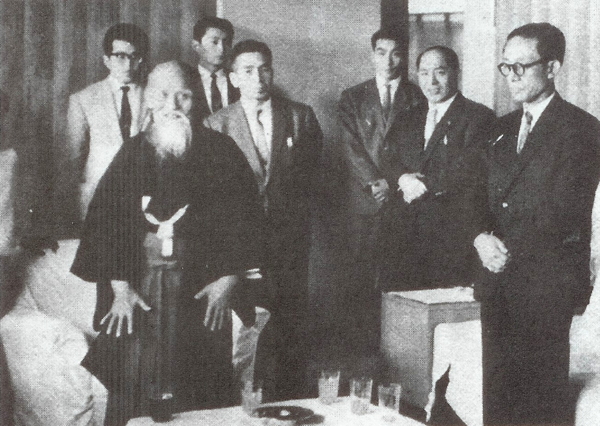 We are affiliated with Aikido World Headquarters and the Suginami Aikikai in Tokyo Japan.